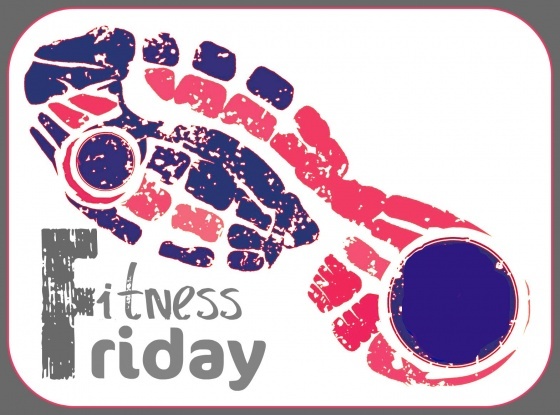 Let’s shake things up a bit this week with a Fitness Friday true/false quiz. I promise it will be the easiest quiz you’ll ever take. 1. True or False – Last Friday was a rest day for me. I did a 30 minute upper body and ab circuit. 2. True or False – My favorite part of doing my long runs in Charlotte are the super awesome hills. 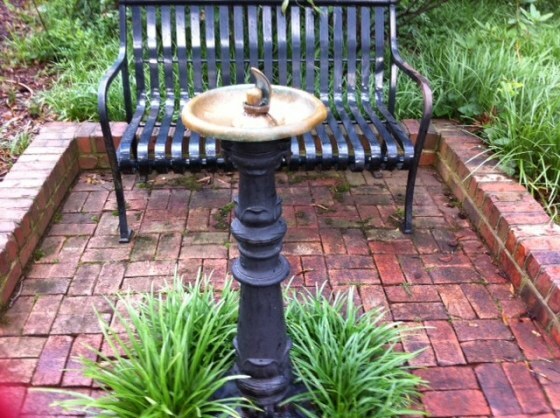 My favorite part of doing long runs in Charlotte is that if you are in the know, you can plan your run around convenient water fountains. I hit this water fountain up halfway through mile seven on Saturday. 3. True of False – Per usual, I had trouble following my own directions and ended up messing up my route, finishing my 10 miles way before I actually made it home. What? You didn’t already know that? Allow me to introduce myself. My name is Kelly and I become a space cadet while running. I can’t follow simple directions or do basic math if I run over five miles. 4. 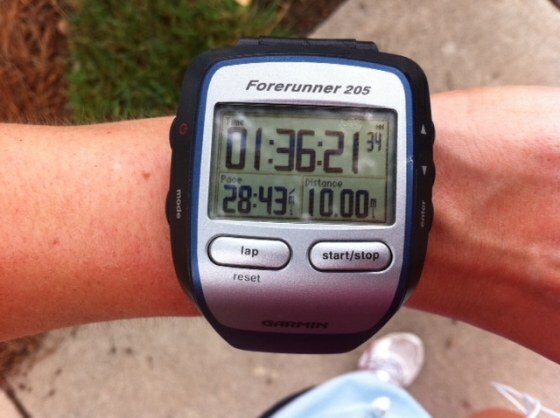 True or False – I ran 10 miles managing to stay under a 10 minute mile. My marathon training plan calls for me to run a 10:13 min mile on long runs, so I hope I can stick to this including water/bathroom breaks. I always paused my Garmin during long training runs when preparing for my first marathon, but this time I plan to keep it running so I have a more accurate estimation of the time it will take me to finish. Since I haven’t started my training yet, I paused my Garmin during my water break. 5. True or False – I went to yoga 2 times this week. Come on. You know that is definitely a false. I didn’t even make it once! 6. True or False – I’m smiling in this photo because I know someone in these yearbook photos. False! Although wouldn’t it be awesome if I did? 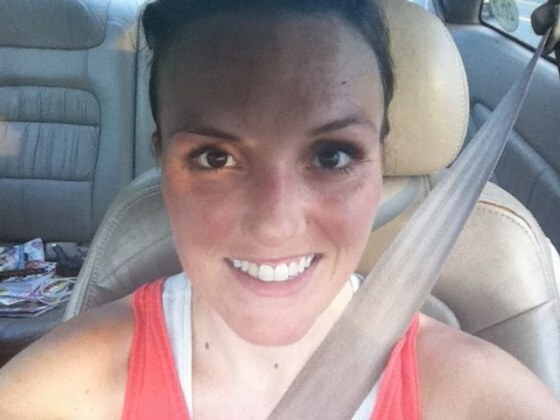 I’m smiling because I just finished a six mile run and that always feels great. Today, Friday, I will most likely take the day off because I’m running six miles in the morning before I run/walk a four mile race with my mom (on her 50th birthday!). 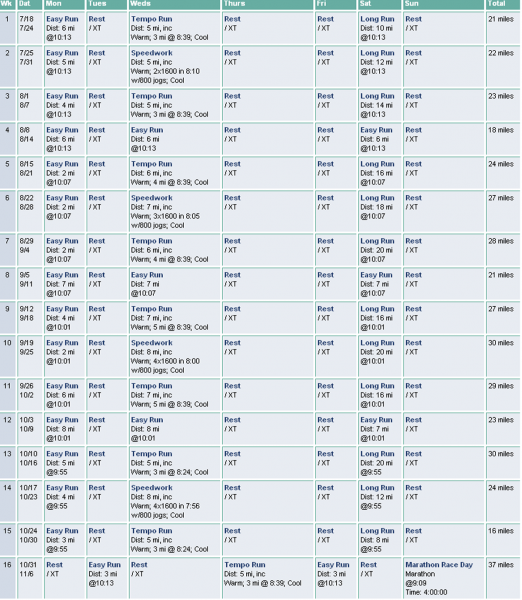 This Monday starts my 16 week marathon training schedule. I’m not so sure about those two mile runs. I kind of feel like if I put on running clothes and get myself pumped up to run, I have to at least do three miles. 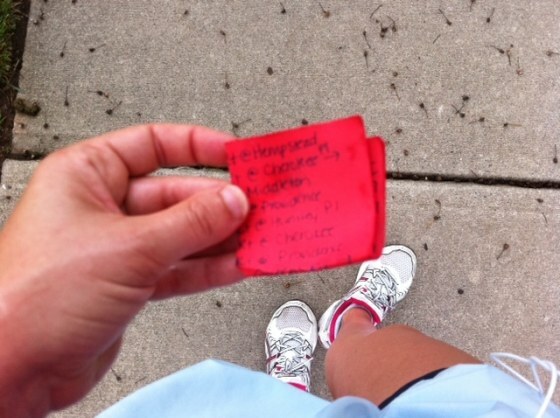 Three miles is my bare minimum – the distance I say I’m going to do when I don’t feel like I don’t want to run. “Come on! You can at least do three miles!” I say to myself. So yeah…we’ll see about that. I’m excited to be training again! I hope my I keep my training momentum and don’t get burned out with all this hot summer running. 7. True or False – I’m so excited that it’s Friday! If you know me at all, you already know the answer to this one. Anyone else training for the Savannah marathon or the half marathon?